The role of the company’s Board of Directors is to oversee the management and the company’s strategic development and to assure that the long-term interests of all shareholders and other stakeholders are being served. Birger Sørensen – Chairman of the board. 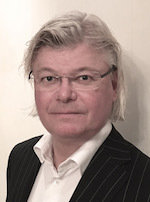 Dag Arne Wivelstad – Board member. 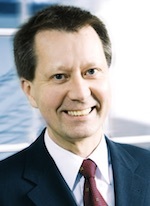 Aslak Aslaksen – Board member. Aslak Aslaksen holds Master of Law degrees from University of Oslo and Harvard Law School. Extensive experience as partner in law firms. Investor and project developer in Renewable Energy, Biotech, Mining & Minerals. Member of Oslo City Council 2007 – 2015. 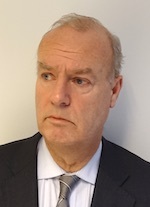 Knut Terje Smerud – Board member. Knut T. Smerud holds Master of Science in Biochemistry from the University of Oslo, and an undergraduate degree from Norwegian school of management. 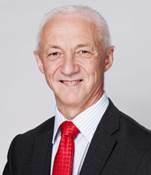 Extensive experience from overseeing a large number of clinical trials as Head of Smerud Medical Research CRO Group. In recent years, he has initiated and directed several clinical research consortia in the EU, all aiming to raise public funding to small-capped biotech companies for conducting clinical trials of new drugs or devices. Under his leadership, some 40 mEUR has been raised in non-dilutive public R&D grants to this sector. He is frequently invited as a lecturer to various conferences on clinical trial management and clinical research in general and has been a lecturer for a post-graduate course in Clinical Drug Development at the University of Uppsala over the last 16 years. His publication list includes 25 manuscripts, and he is a reviewer for British Medical Journal and Transplant International.